In accordance with the ongoing theme ‘Let’s Pretend’, the children were taught about different “Community Helpers” and how they serve us in our daily lives. 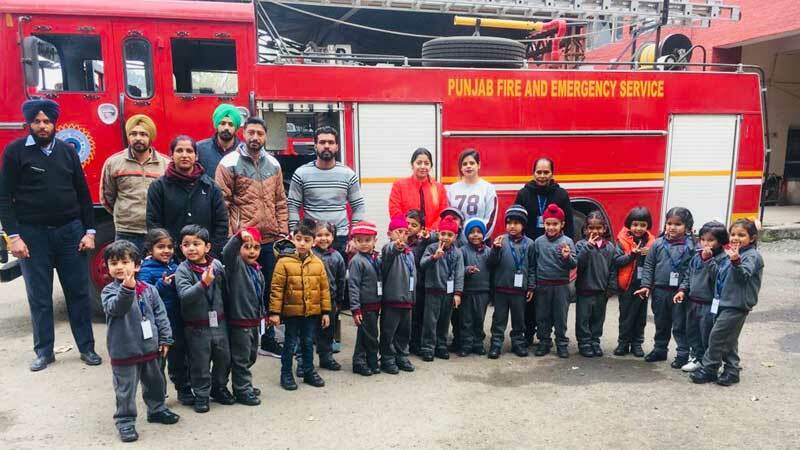 To reinforce this concept, the children of class NURSERY were taken out for an EduTrip to the local Fire Station in Mohali. 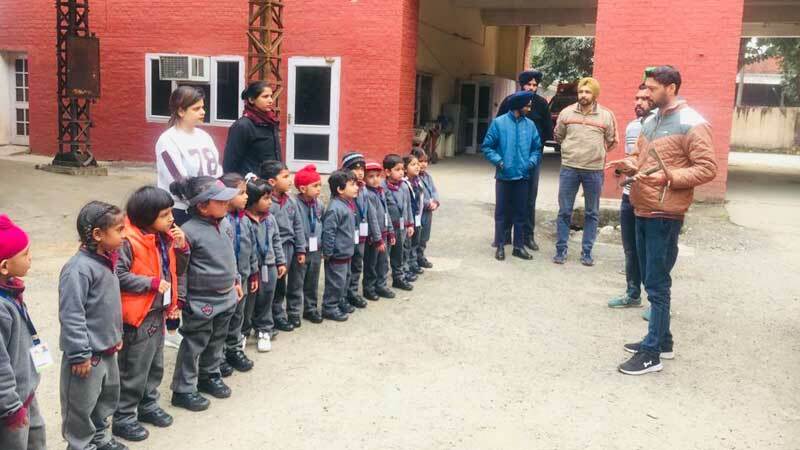 The children were briefed about the different equipment used by them and also the safety measures undertaken to put off the fire to avoid any accidents. A small session was also conducted by the “Fireman Personnel”. Children were really amazed to observe the experienced professionals in action with their equipment. The little ones were introduced to extensive vocabulary like Foam Branch, Fire Tender, Hose Pipe, Face Mask, Fireman Axe, Carbon Dioxide Cylinders, Oxygen Cylinders etc.